Could you explain how you got to producing that arp on Machinery (Preview) at 0:02 sec? In few words — it’s all about a comb filter. That particular filter type is what make the sound so badass and “robotic”. But let’s try to recreate this sound entirely from scratch. First things first, we need to use a synthesiser that has a comb filter. 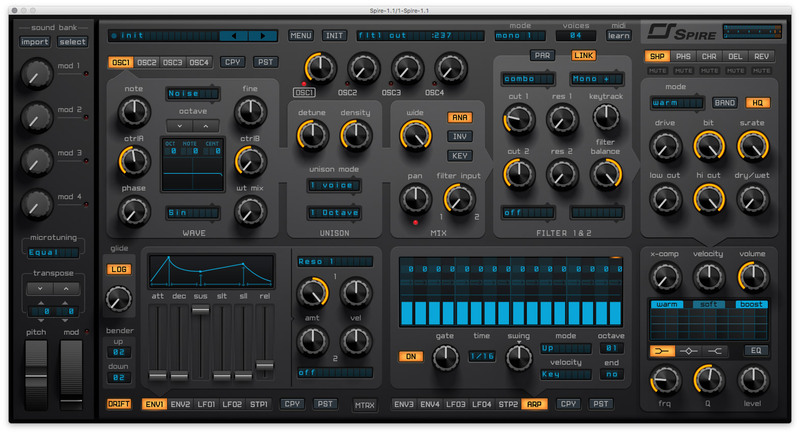 For instance, Sylenth1 which I know many Psytrance producers use a lot, won’t work in this case since it doesn’t have that filter. So, for this example I’m gonna use Spire. 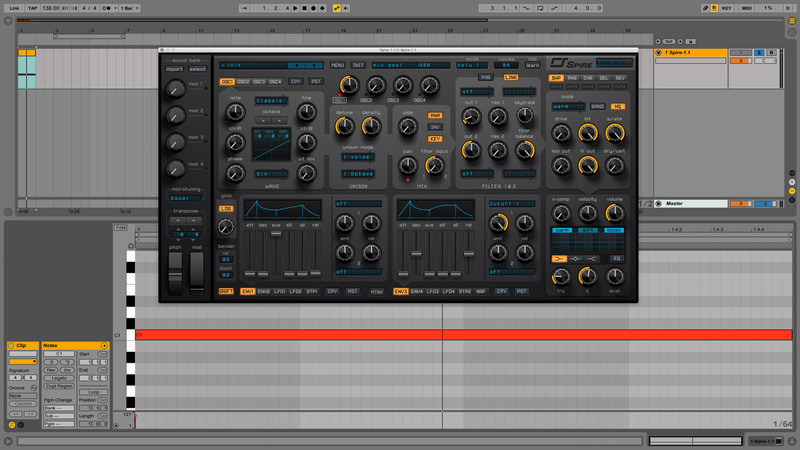 Let’s create a new MIDI channel, put a new instance of Spire with initial preset, and draw a MIDI note. Keep in mind that actual note on a piano roll doesn’t matter because we gonna use noise as a waveform which obviously doesn’t have a tone. Now let’s do some tweaks. In the oscillator section, change Classic mode which is set by default to Noise. Right next to it, turn off oscillator key tracking and turn the Wide knob all way to the right. Nothing fancy so far, just a basic noise sound. Now, turn on the arpeggiator at 1/16 notes to add some rhythm. Map Envelope-1 section to the filter resonance and crank up its amount to a maximum position, and also slightly adjust the Release parameter for 15~20% of its total volume. Or add any twist to this sound, as you like. I hope it helps. Thank you so much for the advice, Daniel! I am going to keep this mind and gonna keep you posted on more questions from my side! Great tutorial, thanks. I was overlooking the Spire’s comb filter for no reason. How do you tune the comb filter, by ear? @Arseny, glad you find it useful! Typically, I tune it by ears and using Spectrum for better precision. Thank you for the advice bro ! more tips please! Awesome tutorial! But can you please specify which type of settings are you using for the send delay/reverb here, for the synth? 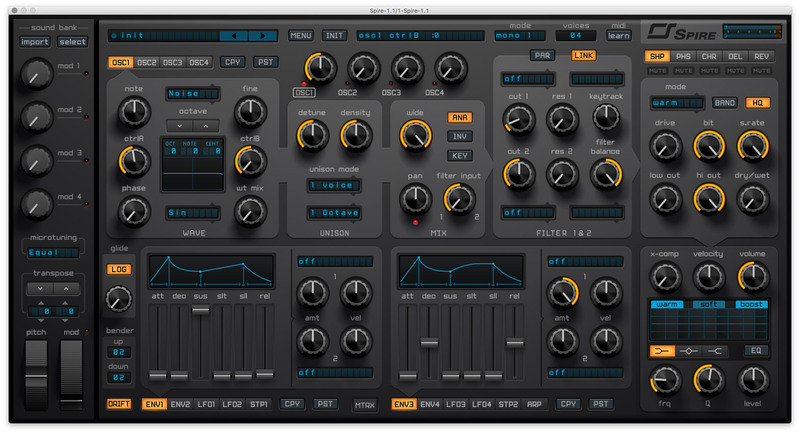 @George Hess, I think for this example I’ve been using built-in Spire reverb with default settings, and as for delay it probably was Replika (see recommended processing plugins). Thank you, Daniel, on your swift and constructive answer! Will try Replika for sure!